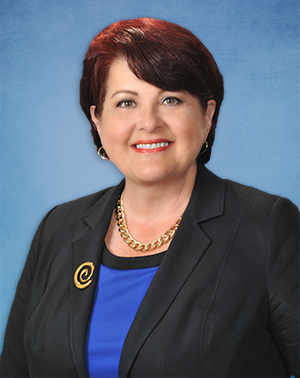 Lee Burdick is Senior Counsel in Lozano Smith's Fresno office. Her practice is focused on the Local Government aspects of public agency law. She has more than 25 years of counseling clients regarding their relationships with federal, state and local government agencies. She has, over time, developed a wide range of clients, including government, corporate and nonprofit entities. Her expertise includes research, analysis and advocacy before a variety of federal, state and local agencies and courts. While building her administrative law expertise, Lee has represented clients in administrative proceedings before agencies and boards such as the Federal Communications Commission, the California Public Utilities Commission, the California Energy Commission, the California Department of Labor and others. She also served on the Board of Port Commissioners for the San Diego Unified Port District, where she became intimately familiar with the Brown Act, the Public Trust Doctrine and agency administrative procedure in a variety of land use contexts. Prior to moving to Fresno, Ms. Burdick served as senior legal adviser and chief of staff to a former San Diego mayor, where she worked on city council resolutions, ordinances and various legal issues facing California cities. Ms. Burdick received a Bachelor of Arts degree in Communications Studies from University of Missouri – Kansas City. She received her Juris Doctor degree from Columbus Law School, Catholic University of America with a certificate in Administrative Law. Last year, Governor Jerry Brown signed Senate Bill (SB) 179, known as the “Gender Recognition Act,” which adds a “nonbinary” gender option to state driver’s licenses, identification cards, and birth certificates.